How easy is SPI with the OSHChip? I thought I'd find out by first controlling a module that has a very basic SPI-ish slave interface. I'm using the LEDx16Module that I designed in the KiCad like a Pro course from Tech Explorations. 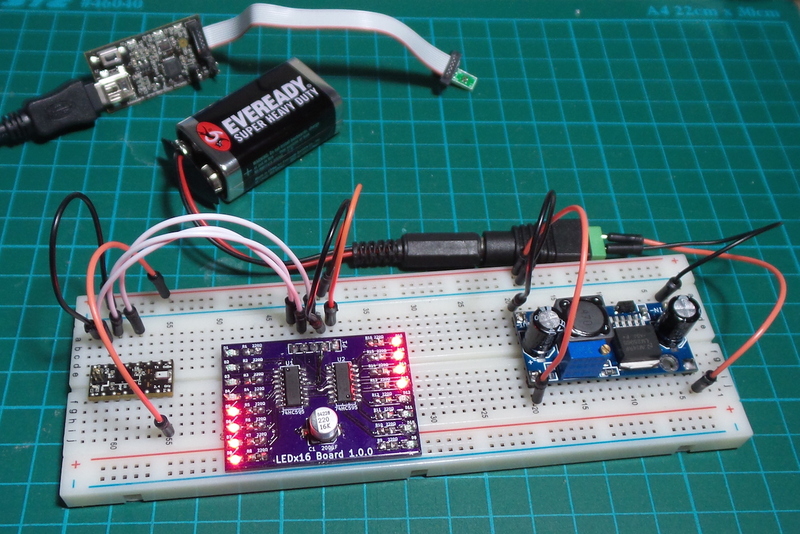 It has dual 74HC595 shift registers that can be driven with SPI to control 16 onboard LEDs.